To love Mariachi is to love life! Why See Mariachi Sol De Mexico? Jose Hernandez's world-renowned Mariachi band, Mariachi Sol De Mexico, heads out across the States to bring you their infectious sound to their fans. 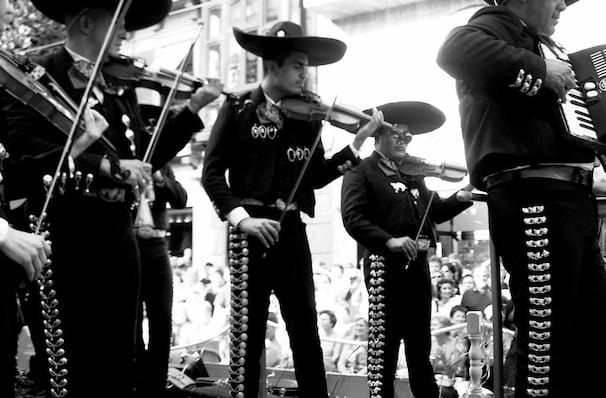 The Grammy-nominated super-group present their extensive back catalogue of Mariachi hits! First forming in 1981 Jose Hernandez's touring band of talented musicians have taken the world by storm, not only have they TWO Grammy nominated albums, but the group have also toured across the globe including being the first to perform in Beijing and Pyongyang. Not only is this group a trailblazer for the genre but they are also a slice of Mexican history with leader and founder Hernandez being the fifth generation of Mariachi masters! Seen Mariachi Sol De Mexico? Loved it? Hated it? Sound good to you? 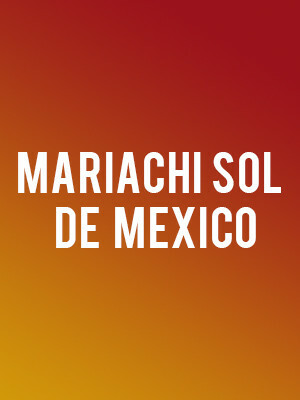 Share this page on social media and let your friends know about Mariachi Sol De Mexico at Newmark Theatre. Please note: The term Newmark Theatre and/or Mariachi Sol De Mexico as well as all associated graphics, logos, and/or other trademarks, tradenames or copyrights are the property of the Newmark Theatre and/or Mariachi Sol De Mexico and are used herein for factual descriptive purposes only. We are in no way associated with or authorized by the Newmark Theatre and/or Mariachi Sol De Mexico and neither that entity nor any of its affiliates have licensed or endorsed us to sell tickets, goods and or services in conjunction with their events.